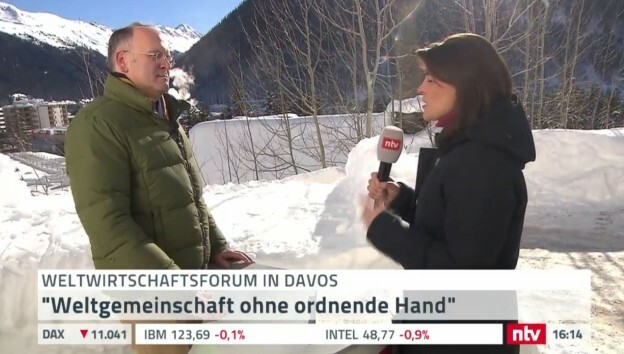 Klaus Schweinsberg commented in interviews with german news televsion n-tv on this years World Economic Forum, describing it as a “a marketplace of ideas”: in contrast to former years more and more consultants, small enterprises and non-profit organisations can be found among the participants. He therefor does not expect any political solutions from the Forum. The interview is available in german on the n-tv website.